Quickly becoming an audience favourite wherever they perform, the dynamic Cheng² Duo has been making music together for the past 15 years. The duo’s refreshing approach to making classical music accessible to new audiences of all backgrounds is steeped in a rare balance of infectious joy and enthusiasm in their playing on one hand, and mature, historically informed, and profound interpretations on the other. 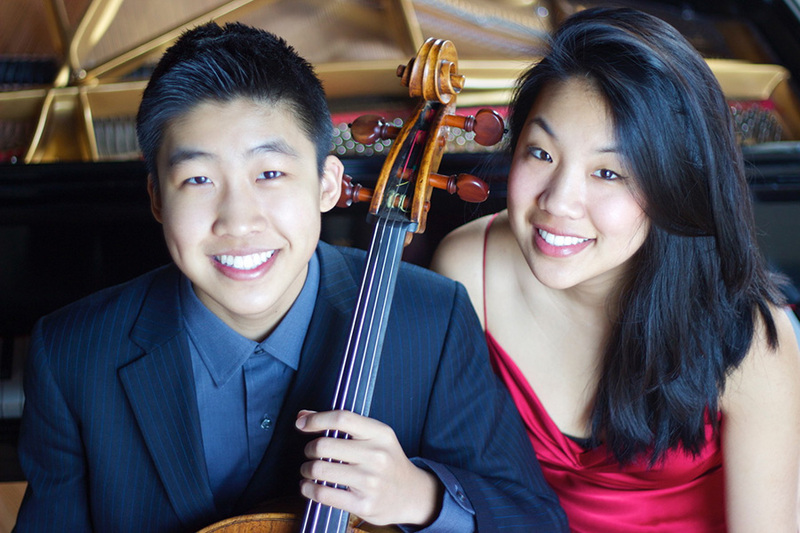 With wide-ranging repertoire from Baroque to Contemporary, from original arrangements inspired by folk music to new commissioned works, the duo has presented engaging recitals in notable venues throughout North America (Canada and USA), Europe (Belgium, Czech Republic, Germany, Holland, Italy), and Asia (China and South Korea). They have established a reputation for being invited for return engagements at prestigious venues and festivals, including Carnegie Hall’s Weill Recital Hall (NY), the National Gallery of Canada, the Festival of the Sound (ON), Vermont’s Pro-Concert Series, and Ottawa Chamberfest. Cheng² Duo has also been featured at numerous other international festivals, including Aspen (Colorado, US), Trasimeno (Italy), and CAMMAC (Quebec), as well as on CBC Radio, ICI Musique, and Radio-Canada International, Winnipeg Classic 107, Vermont Public Radio, WCRB Classical Music Boston, WCNY Classic FM, and Kulturradio RBB Germany. 2017-18 season highlights include debut recitals at the Waterside Summer Series (Amherst Island), Cornwall Concert Series, Virtuosi Series (Winnipeg), Concerts at McMaster (Hamilton), Chamber Music at the Clark (Los Angeles), Cecilia Concerts (Halifax), and tours throughout British Columbia, Quebec, and Ontario. The duo released its debut album, Violoncelle français, on the German classical label audite in 2016, which has been lauded by international press and publications in France, Luxembourg, Germany, the Netherlands, Canada, and USA for its “musical sensitivity”, “maturity and perfection”, “taste, sure flair for phrasing, and beauty of sound”. Their sophomore album featuring Spanish works will be released in June 2018.